Review: Victoria. 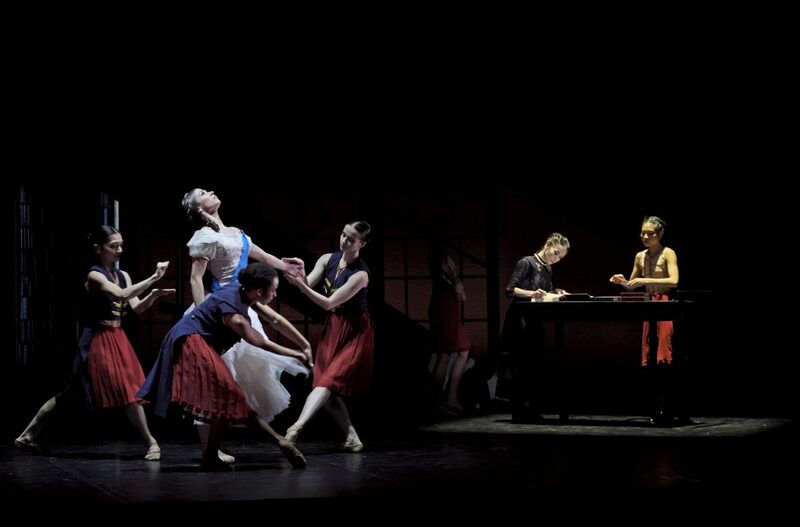 Northern Ballet (touring). Curve Leicester 2-6 April 2019 – East Midlands Theatre. 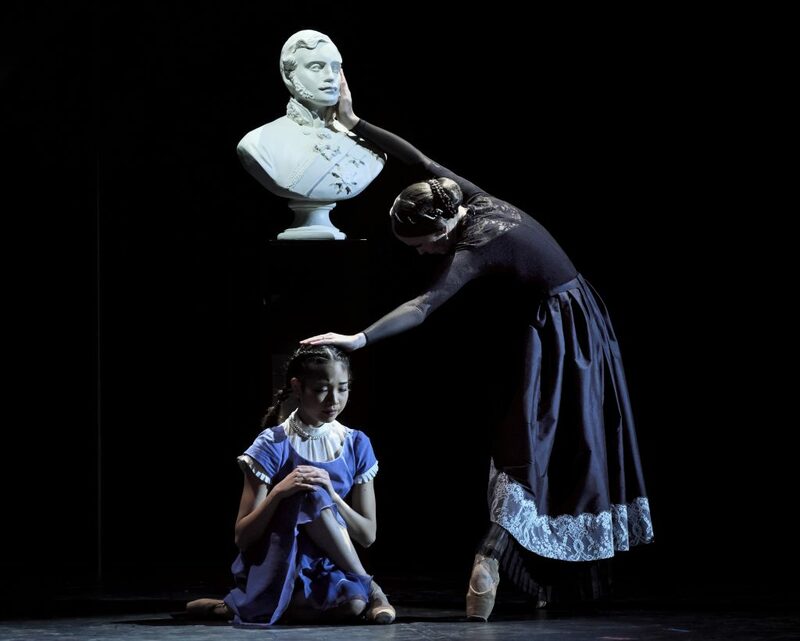 On the 200th anniversary of the birth of Queen Victoria, Northern Ballet have created a new and insightful ballet to celebrate one of the nation’s most famous figureheads. It is a piece of sweeping scope, beautifully detailed, but most surprisingly, fluently expressive of the love in the many relationships involved. Cathy Marston, Choreographer and Director, has worked alongside Uzma Hameed, Dramaturg, to create the unique perspective of the storyline. Beatrice, Victoria’s youngest child, reads over her mother’s diaries and through them, rediscovers her mother’s younger self. Much of what she finds is not to her taste or for public consumption, so she edits them. In an episodic format, we are allowed glimpses into the life and times of Victoria from this very personal viewpoint. Abandoning a more traditional chronological order frees the story-telling to become more about Beatrice’s response to the diaries, as much as about the content. Prince Albert, Victoria’s great love, died when Beatrice was just 4 years old and her younger years are marked by the immense grief of her mother. In remembering these years, Beatrice is often in the scenes as both her younger self and her adult self as observer. The echoed and reflected movements are like memories being played out and fondly recalled. There is a delicacy and lightness in both the choreography and movement which seems to convey the fragility of memories and their fleeting nature. 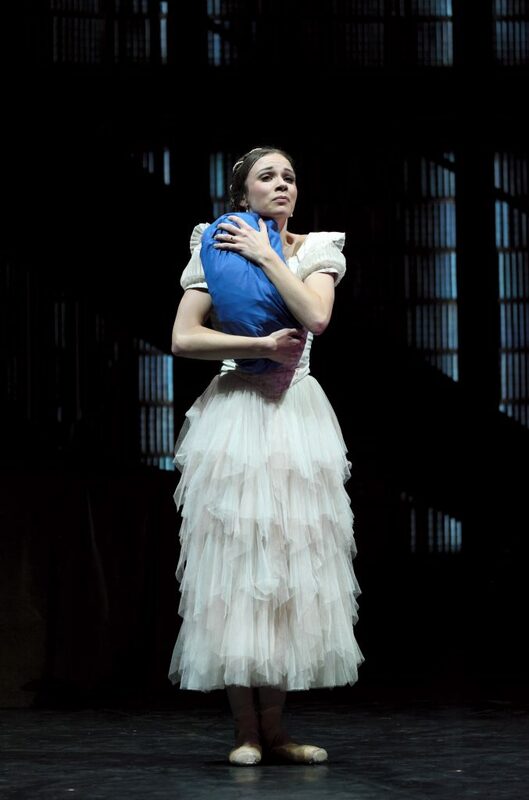 In this performance, Mariana Rodrigues is the older Beatrice, with Rachael Gillespie playing the younger princess, and both have a wonderfully natural expressiveness in their characterisation as much as their dancing. Victoria’s relationship with John Brown, her Scottish servant, is exquisitely performed by Antoinette Brooks-Daw as Victoria and Gavin McCaig as Brown. McCaig’s role as friend and confidante has him in a supporting role to the devastated Queen, who is lifeless following the death of her beloved husband. The intimacy and warmth of this friendship is conveyed with a physical proximity beyond the bounds of the usual master and servant relationship. Brooks-Daw has to age considerably during the ballet – actually in reverse – and when playing the younger Queen, she is able to fully come to life. The meeting, courtship and marriage to Albert are a joyous display of the unleashing of the reserved Queen into a fully passionate and physical consummation of their love. Sean Bates is Albert in this performance and together with Brooks-Daw, they produce a breath-taking performance, full of detail and humanity, intricate movements and a stylistic interpretation made full-blooded and real. The most glorious creation in the show is a trio composition, where the older Beatrice remembers falling in love, through the eyes of the younger Beatrice and her husband Liko. Jonathan Hanks as Liko has to at times physically support both women in the dance, whilst keeping his focus on the younger Bea. The convoluted, clever moves, embrace and release, uplifting and holding close are as smooth as silk, the three interweaving as one form. It is quite mesmerising. Supporting the meticulous dancing is the original score by Philip Feeney. It is an interesting and varied piece, combining more traditional styles from the time – a brass fanfare, a militaristic flavour for more structured scenes – with a more modern sensibility which follows the flexibility of the work itself. It supports the viewing of ‘history’ from a modern viewpoint, with elements such as the sound of a pen nib scratching on paper which is taken from a cello, and electronically altered. The 27 piece live Sinfonia Orchestra, led by Jonathan Lo, adds drama and impact to the immediacy of the piece. The costumes and set by Steffen Aarfing also walk the line between tradition and modernity, a palette of red and blue representing tradition, with a sparsity of set which provides structure but does not intrude. A very simple but effective device is the Queen’s diaries themselves being bound in red, whilst Beatrice’s re-written versions are in blue. An army of ‘archivists’ remove, circulate and replace these within a ‘library’ setting, their formal movements reflecting the efficiency of courtiers. The costumes of the ensemble also remind one of creased pages in a book. A simple swishing curtain crosses from one side to the other to indicate the passing of time or a change of scene. 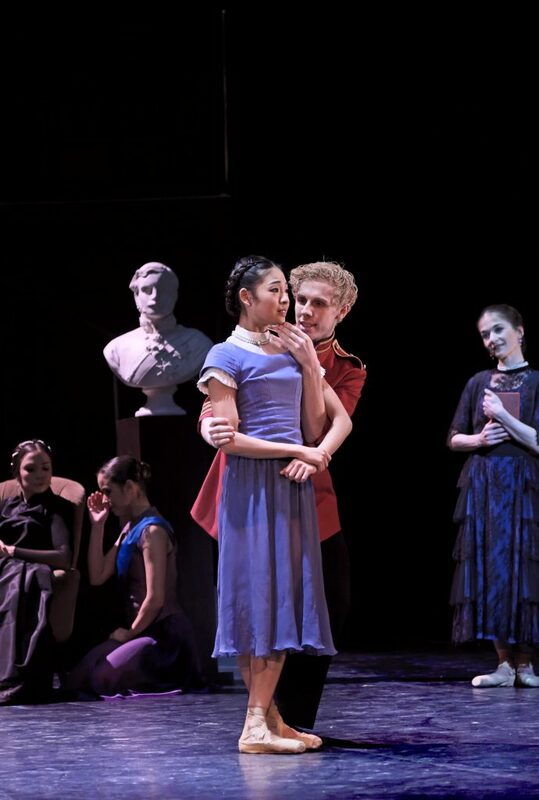 This new work, a co-production with the National Ballet of Canada, provides a fascinating insight to the reality behind the Royal façade which continues to be the subject of public debate. The story-line itself is intriguing, at times perhaps attempting to contain too much historical information but the dance stands on it’s own, as an expression of what it is to be human, of memory and reflection, and is a joyous celebration of love.